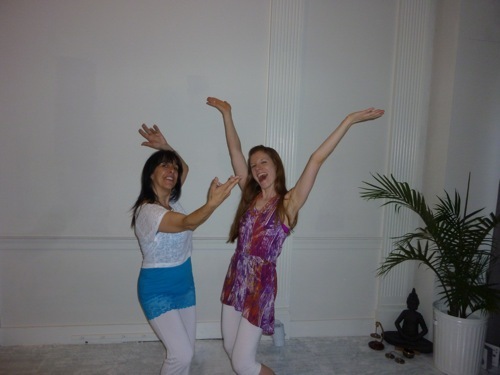 After waiting patiently for 2 years for Maryland-based life dance coach Michelle Dubreuil Macek to return to my home turf, this past April I was finally able to dive back into Biodanza. 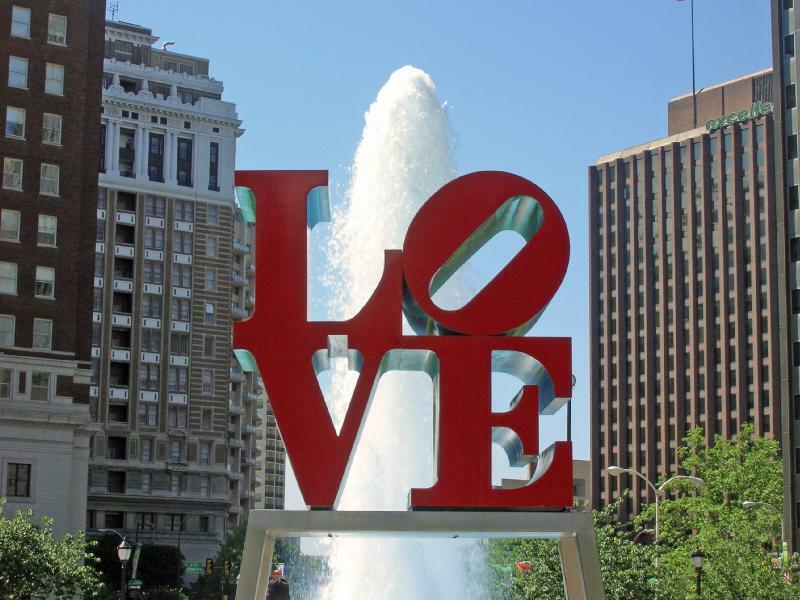 With a nickname like the City of Brotherly Love, Philadelphia seems to be a perfect setting for Biodanza, as the practice—“a movement-based system that integrates music, dance, and authentic relationships with self, others, and the world to support health, joy, and a sense of being fully alive”—is all about exploring the capacity to connect with your classmates, your neighbors, and the human race as a whole. Bring on the love, yo. The practice of Biodanza reminds participants what it’s like to feel human—to breathe, to move freely, to embrace the vulnerability that comes with eye contact and individual attention, to brush past another’s arm or hand without getting flustered and feeling the need to apologize profusely for—heaven forbid!—having a fleeting moment of skin-on-skin contact with a fellow human being. When I took my first Biodanza class in March of 2011 (detailed recap here), I was just starting out on my quest to explore my kinesthetic curiosity (alliteration intended). I had been dancing 5Rhythms for a year at that point, but was still relatively new to allowing myself to be fully present with others on the dance floor. 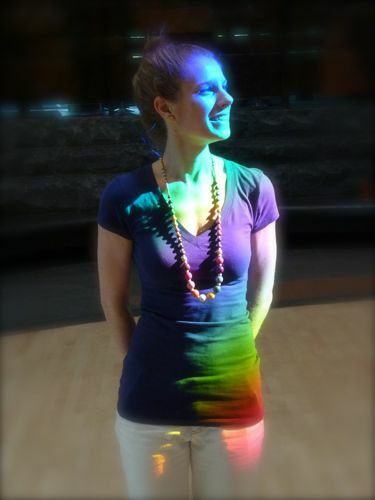 I hadn’t done any 5Rhythms workshops or intensives at that point, and the videos of Biodanza that Michelle had posted on her website intimidated me, with all of the smiling and touching and laughing and dilated pupil moments. I was used to dancing with myself, telling my story, with others in the background or as complementary characters. 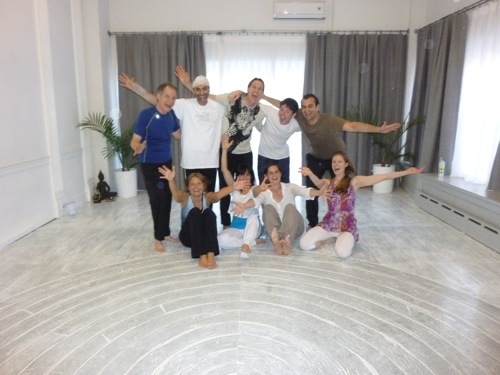 Biodanza was now asking me to incorporate these other people into my story, to make them part of my world too! The first couple of minutes were hard for me. Then things got easier. Fun, even! That class 2 years ago was the first time I met (a different) Michelle, who has since become one of my closest dancing sisters, in that our souls have a secret and profound way of communicating with each other whenever we meet on the dance floor. I hadn’t danced Biodanza since then, but if you’re a regular reader of this blog, you know that I’ve amped up my 5Rhythms practice significantly during the past 2 years. 5Rhythms isn’t Biodanza and Biodanza isn’t 5Rhythms, but the two modalities work extremely well together in terms of exploring authentic movement and intentional connection. In fact, both practices are based around “5s”: The 5Rhythms are Flowing, Staccato, Chaos, Lyrical, and Stillness; in Biodanza, the “Five Lines of Vivencia” are Vitality, Sexuality, Creativity, Affectivity, and Transcendence. Imagine both of those frameworks being written on transparent paper and placed on top of each other: Can you see the overlap?! The class last month was two hours long and included several exercises that transformed our group of 11 from mostly strangers and acquaintances into a pretty tight gang (in fact, several of us went out for a group dinner afterward to prolong the friendship). 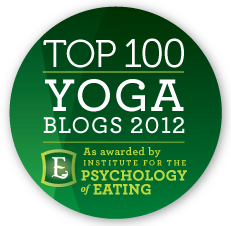 In the spirit of that magic number, I’ll discuss the 5 exercises that impacted me the most and which I think are good representations of the Biodanza practice. One of the first exercises we did after introducing ourselves was pair with a partner, hold hands, and walk around the studio to music. Seems easy enough, but the tricky part was being reminded to simply walk with our partner, not dance. Michelle instructed us to hold eye contact with our partner, to just be there with him or her without feeling the need to entertain or do something together. It’s one of the few times that walking became more challenging than dancing; the utter simplicity of being versus doing (with someone we just met!) somehow felt more intimate than slow dancing at the junior prom. Imagine someone standing behind you, placing their hands lightly on your ankles, and then sweeping their hands upward, passing over your calves, thighs, buttocks, spine, neck, and finally—with a grand flourish—through your hair or over your scalp. What would the soundtrack to that elongated caress sound like? Would it be “WooooooooooOOOOO!” or “AhhhhhHHHHHHH!” or “EeeeeeeeeeEEE!“? As the receiver of this touch, are you able to fully tune into where your partner’s hands are in relation to how quickly or slowly you are vocalizing? Are you making noise just to make noise, or are you truly feeling the marriage of touch and sound? As the “sweeper,” are you paying attention to your partner’s body or just quickly going through the motions? Is your partner wearing pants, or do you feel the skin of his/her calves? What does the fabric of your partner’s shirt feel like? Did your hands explode through a thick mane of wavy locks, or did your fingertips glide over a bald scalp? This exercise turned our bodies into instruments, and the “receivers” had very little time (milliseconds!) to emit a sound that paired with their partners’ exploratory taps, touches, brushes, pokes, and pats. It was fun for both the giver, for whom the exercise was a bit like playing the game of Simon without rhyme or reason, and for the receiver, who was often surprised by what came out of his or her mouth. With five pairs doing this exercise at once, the studio sounded like a bunch of robots gone haywire, blipping and beeping, meeping and squeaking. I don’t think there was anyone who didn’t break out laughing at one point or another. After all that entertainment, we had a bit of a serious moment with our partner, as one person lay down on his/her back and the other person simply rested a hand on the other’s belly. For about 3 minutes, all we did was be quietly present with our partner, either relaxing into the ground and being receptive to the human hand resting on our rising and falling bellies or being completely enamored with nothing else but our partner’s inhalations and exhalations. The exercise was simple but profound, a tactile reminder of the breath of life. My partner was moved, commenting that the exercise reminded her of her mother’s passing and the gratitude of being able to be present for those last precious moments. During one of the few exercises in which we partnered with ourselves, we all found a spot in the room in which we felt comfortable, closed our eyes, and allowed our bodies to unfold to slow, sensual music. Michelle reminded us to stay close to our hearts for this one, to feel the movement begin in the heart and radiate outward, not to get too caught up in grand choreography. We had just done so much work being present with partners; this was the time to get intimate with our own hearts. It was hard for me to stay in one place, as the swelling music was just tempting me to dive into the dance floor. What I didn’t realize was that that part was coming up next; the point of this particular exercise was to contain the movement, to feel it deeply in yourself before passing it along. In the proceeding exercise, Michelle invited our heart dances to move outside of their confined spaces and among the group. The gradual build-up beforehand allowed my movement to grow, expand, and finally be fully shared with others. The light and airy weaving of bodies in and around each other reminded me of the rhythm of Lyrical, our arms and hands extending like kites dancing in a gentle spring breeze. Partner dancing with someone when both of your eyes are open ain’t no thang, but what happens when you turn off the sense of vision and have to rely primarily on touch? This was the basis of the dance of relationship, joining palms with a partner, closing the eyes, and feeling where the dance would go next. Movements had to be slow, deliberate, and incredibly mindful; if your partner shot his arm upward without any warning, you’d be left standing there with an empty palm, the connection broken due to lack of kinesthetic communication. The challenge of this exercise was to strike a balance between awareness and attention, to sink into a soft dance without being obsessed with or hyperaware of every gesture. How much do you trust your partner, and how willing are you to let go and have faith in this mutual movement? Much like my last class two years ago, I left this most recent Biodanza class feeling very deeply for my fellow dancers. I may not have remembered everyone’s names, but I sure did remember their eyes, their smiles, their particular body language. It was hard to part ways immediately after the workshop, and that’s why a few of us extended the evening and went out to dinner. The desire to stay connected was palpable in the post-class atmosphere. However, I also learned that night as I left the city that the essence of Biodanza ends on the subway platform, where “human encounter” is seldom poetry but rather a short story, sometimes nothing but a trifold pamphlet. My eyes were wide open when I entered the train, willing to make contact with another, eager for my personal verse/stanza to be joined by another’s until the entire train car was a collaborative poem of human encounter. But no one wants to make eye contact on the subway; the M.O. is head down, earbuds in place, hands in pockets. Let’s work on this, shall we?! Michelle has plans to return to Philadelphia on June 8 at Mama’s Wellness Joint in Center City. Will you help the City of Brotherly Love become just a little more, well, loveable? Like this happy group of folks? It sounds like a well led journey through some of the many forms of intimacy! Definitely something I would like to try. Believe me, should it ever come to your neighbourhood run, jump, walk to join in this amazing journey! You will never want to stop! Very nice information so thanks for sharing this topic.